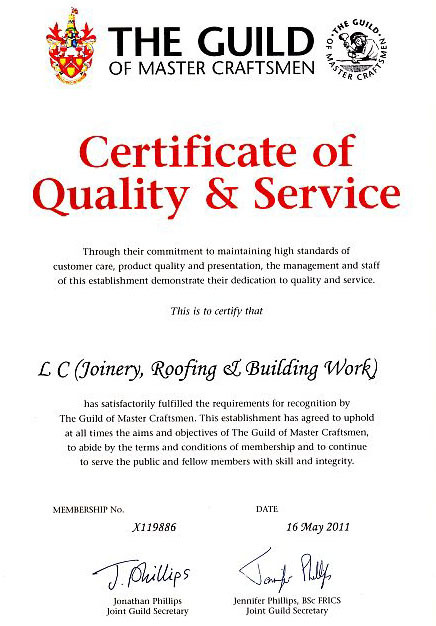 At LC Joinery, Roofing & Building Work we are proud to call ourselves valued members of the Guild of Master Craftsmen since 16 May 2011. We do our very best to strive and uphold their aims and objectives. “We are delighted to introduce you to a member of the Guild of Master Craftsmen – someone who cares about customers and the service they receive; someone whose business has been awarded the coveted certificate of quality and service. One of our major objectives is to promote high standards of quality and service in all aspects of commercial life. We try to achieve this through the firm undertaking we require from all our members to serve their customers with care and consideration.Every member of the guild should be able to show you an official membership card so please don’t hesitate to ask to see it. an examination of our business procedures. Find us on Which? Trusted Traders. We hold a CSCS card. CSCS delivers a scheme for industries that confirms that individuals working in the building environment have the necessary training qualifications. The scheme keeps a database of those working in construction who have achieved or are committed to achieving a recognised construction related qualification. Please see the CSCS website for more information. Click to read the TTF11 Model Complaints Policy by Which? We are now proud members of the Federation of Master Builders (FMB). The FMB is the UK’s largest trade association in the building industry, with national offices in England, Northern Ireland, Scotland and Wales, supported by additional regional offices. Established in 1941 to protect the interests of small and medium-sized building firms, the FMB is independent and non-profit-making, lobbying continuously for members’ interests at both national and local level. Our tradesmen are qualified in SVQ Levels 1, 2 and 3. SQA (Scottish Qualification Authority) ensures that its qualifications are of a high quality and that the assessment of these qualifications are monitored and maintained to a consistently high standard. This sets out the framework by which SQA safeguards the credibility of SQA’s qualification and assessment standards and ensures public confidence. We have been members of the Federation of Small Businesses (FSB) for over two years. For more information, click here: Federation of Small Businesses. 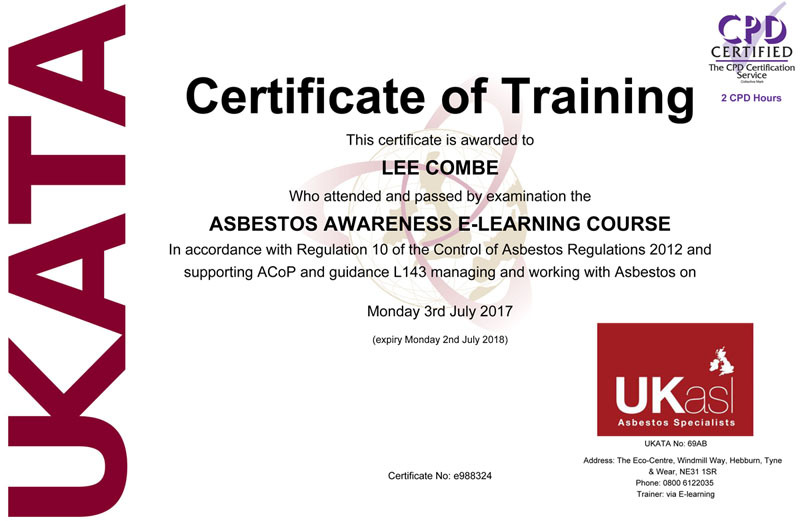 In accordance with Regulation 10 of the Control of Asbestos Regulations 2012 and supporting ACoP and guidance L143 managing and working with asbestos. 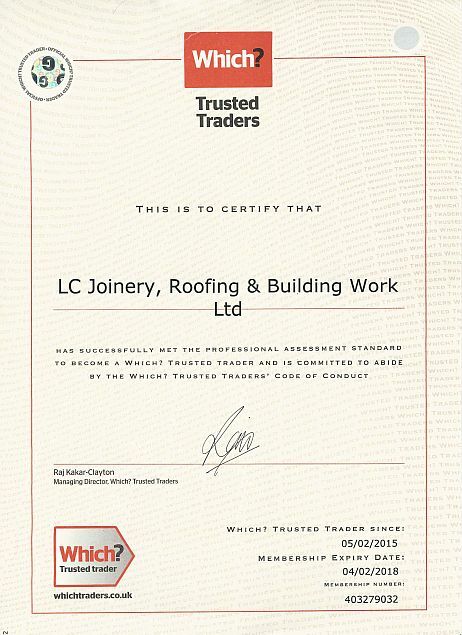 To check the validity of this certificate please visit www.ukata.org.uk to use the online validation tool.